Seeking a detail oriented sales professional and a solution specialist that can listen and understand customer challenges and opportunities and then be able to present the best possible solution to meet those needs. Candidates must be quick learners and tech savvy with intermediate to advanced level skills in MS Office products as well as the ability to learn new and complex software quoting systems such as Concept. Will be part of a four person team that works together making their territory and dealers successful. Ability to travel twice per year to Dealer offices / territories to train Dealers around company process / products and to develop Dealer relationships through an understanding of their markets and business needs. Point of contact for post- sale communication to Dealers, and other departments across the enterprise that process or provide support for Dealer orders. Provide assistance regarding post sale needs pertaining to technical inquiries, change orders, milestone information, guaranteed repairs, back charges, or returned goods authorizations. · Research, investigate and negotiate, if necessary, back charge requests from dealers relative to expenses incurred due to Company error. · Must be able to accommodate spikes in work volume and adjust working schedule accordingly which will include working over 40 hours during busy season or other times of year. · 2 or 4 Years technical degree and one to two years of equivalent work experience or a combination of experience and education. Lary started here in 2007 as a technical recruiter. His previous experience was 23 years as an Operations Manager at UPS. In 2009 he moved into Account Sales and Account Management. 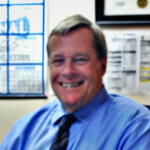 In 2012, Lary became the National Recruiting Manager. Lary has a wife and two adult children. When not working, he’s following sports, reading, antiquing and restoring antiques.